Haunted Beach 2014 featuring Laidback Luke - Otter Productions Inc. | Otter Productions Inc. 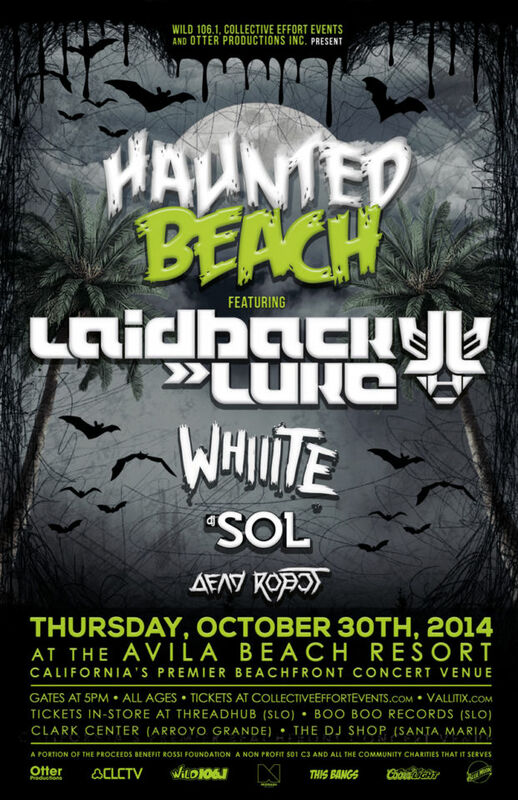 Haunted Beach 2014 featuring Laidback Luke - Otter Productions Inc.
Wild 106.1, Collective Effort Events, and Otter Productions present Haunted Beach 2014 coming to the Avila Beach Resort on Thursday, October 30th! The inaugural year will feature one of electronic dance music’s most talented DJ/producers, Laidback Luke! This will be the Central Coast’s BIGGEST HALLOWEEN BEACH PARTY! Joining the lineup is Whiiite, Dj Sol, and Dead Robot! Prepare for an unforgettable night with 3,000 costume-clad music lovers dancing the night away under the stars!Tickets are on sale Wednesday, October 1st, 2014at 10:00am at the locations listed below. 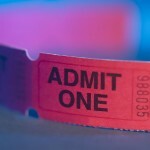 This is an all ages event. As the innovator in dance music, Holland’s Laidback Luke blasts a blitz of energy, driving his avid fans around the world into a raving frenzy! 100% immersed in his fans, the Super You & Me hero continually breaks the mold, shaking up chaotic beats to favor electro, techno and bass heads globally. Locking and loading events with hugest lineups and the most powerful beats, the electronic idol is saving the world from mediocre music and transforming dance floors into havens of high quality merriment! It’s no surprise the anticipation is on high alert for the oncoming collaborative release of ‘Blow’ with #1 ranked French Dance Music Open champion Martin Solveig, on Mixmash. Riding high on the electronic rocket the label saw More drop with Dimitri Vegas and Like Mike, while just prior, the collective explosion with Hardwell on Dynamo took the Mixmash bomb straight to the Beatport Top 10. Responsible for EDM’s most sought after remixes Laidback Luke fronts up to the his crowds for recent demand on Martin Solveig’s ‘Hey Now’, ‘Thinking About You’ featuring Ayar Marar for Calvin Harris and Robin Thicke featuring Pharrel and T.I on chart busting ‘Blurred Lines’. Devoted to his fans and with a non-stop party from the studio to the stage, the Dutch icon pins the map on every corner, powering dance music in his tracks.